If you are looking for something different, Morocco is the destination for you. Magical perfumes, spices, monkey performance and snake charmers; Moroccan cities buzz with merchants who sell strange items you have never seen elsewhere. Trek the red deserts and witness the life of nomads in a world many do not dare to visit. 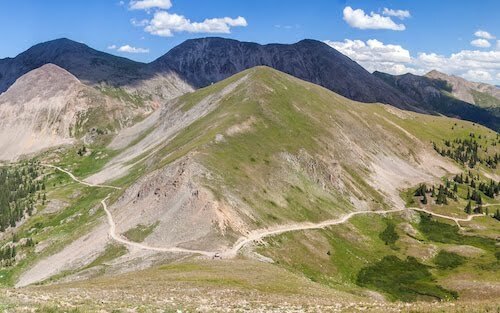 GUIDED: This walking holiday will be like no other walking holiday with unique opportunity of camping out under the stars each night and roaming through valley and mountains where nomads still travel from one oasis to the next. Enjoy freshly prepared Moroccan cuisine under the shade of a palm or almond tree. GUIDED: This adventurous 3 day hike in the Ourika Valley will bring you through the stunning three Berber Valleys. You will be walking through time-honored Berber villages and trekking through the passes from Valley ait Misane to Valley Imenane and completing your journey in the Ourika Valley. Want an adventure like no other? Our Morocco trips are exactly what you are looking for. From sleeping in a village of only three families to hiking up a mountain for your sleeping accommodations for the night (hint: it’s under the stars), our Morocco adventures will be an unforgettable trip! Our Oasis of Saghro and Dades Valley trip is a mountainous adventure that will exceed your wildest dreams. From walking along the High Atlas Mountains where you will see the Draa River, the longest river in Morocco, to sleeping under the stars in a town of only three nomadic families, this journey will feel like a time warp and a much-needed break from reality. To welcome you back to real life, the last day will be in the beautiful city of Marrakesh, where the markets and local sights will entice you. Our guided (by a mule driver and a cook!) 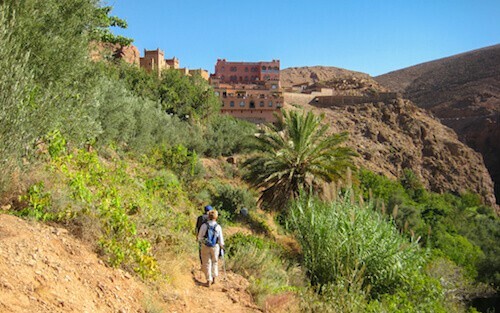 three-day hike in the Ourika Valley will take you through Berber villages and three spectacular Moroccan valleys. First, hikers will walk in the Ait Miscane Valley where there will be spectacular scenic landscapes and views of Berber villages- where the way of life hardly changed for centuries. The last stop before bidding bessalama (bye in Moroccan Arabic), will be Setti Fadma, a village with shops and restaurants, where you can get an authentic feel for the rural life of Morocco, before heading back to the hustle and bustle of Marrakech.